Tucson has no beaches but we do have jelly squid! This fantastic sculpture is a student creation on display at Pima Community College's west campus. 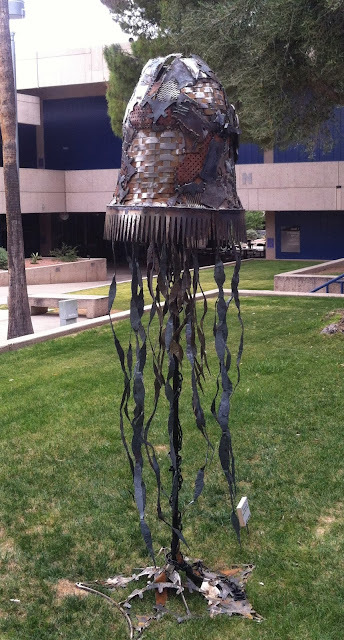 The work is a solar lamp and is is titled, "Jelly Squid Steampunk" by Sarah Breese.